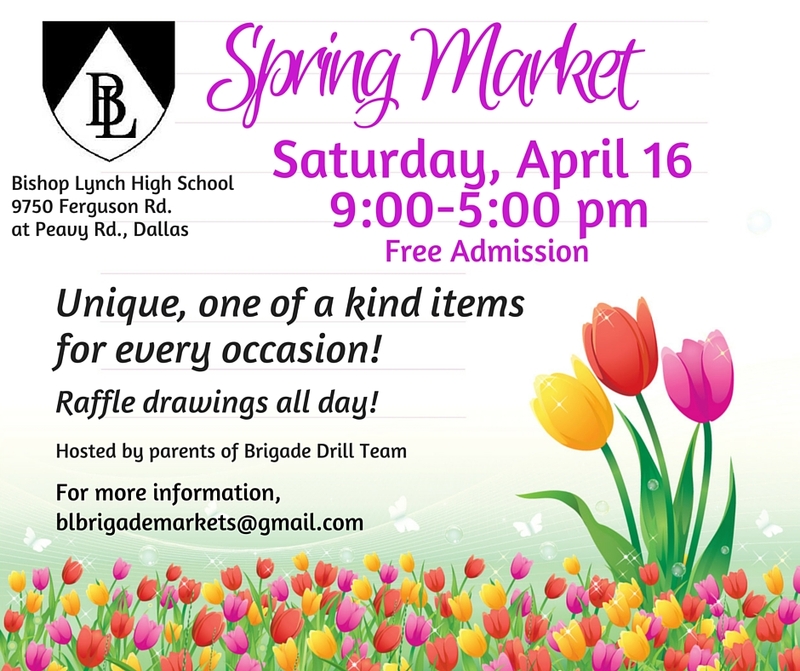 "Bishop Lynch Brigade Drill Team invite you to join us for our annual Spring Market with many diverse vendors, presenting a wide range of amazing merchandise. May's upcoming events include Mother's Day, Graduation, First Holy Communion, Confirmations, Wedding showers, and Birthdays! 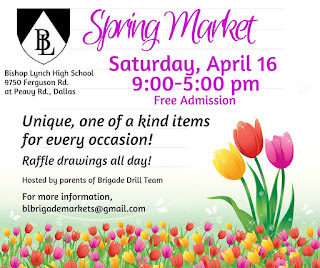 In conjunction with the Market, the BL Brigade will be performing their annual Spring Show in the school's McGonigle Theatre, which is adjacent to the Atrium. The performance will take place from 2-4 pm." "Established by PGA TOUR Professionals Scott Verplank and Andrew Magee, this non-profit social event has helped thousands of less fortunate children, their families and senior citizens receive counseling and dental care. Over the last twenty plus years, the golf tournament has raised over $1,000,000.00 and the Charity Plant Sale has raised over $50,000 in the past six years." "This event is about awareness of the area homeless pets, spotlighting local rescue groups and area veterinarians with low cost vaccinations throughout the day. We also have a children's area with train rides and bounce house. There will be live music throughout the day, three food truck and a dog contest. We are looking for animal related vendors to join us!!" "Stafford Middle School PTA Vendor Bazaar will be on Saturday, April 16th 9 AM-3PM. We will also have entertainment, food trucks and concessions. Any questions, contact Connie Helus at connieandrick@att.net."